Bargains, bargains everywhere! It is easy to make your vacation in Cabo San Lucas cheaper if you take the time to economize on the things that are not important to you and spend on the things you do truly appreciate. Take a look at some of the easy tips below to see where you have been going wrong. 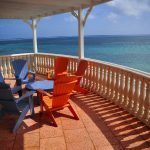 Seems obvious, but often we spend money like it is water on vacation rather than decide where we want to concentrate our vacation funds. For example, if you like dining out, then budget for more expensive restaurants and stay somewhere cheaper. If you prefer the beach to a pool, stay in a cheaper hotel or apartment with smaller pools and go to one of Cabo’s great public beaches. You can also save money on avoiding certain things – if lobster is not your favorite, don’t order it just because you are on vacation. All inclusive plans in Cabo can save you money, especially if you are traveling as a family and have children under 12. Many all inclusive resorts in Cabo San Lucas publicize special offers where kids stay for free. This is a way of saving money on restaurants where kids’ menus are not always that great value and you can never all agree what kind of food you want to eat. 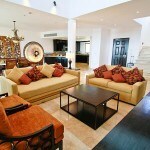 All inclusive resorts in Cabo save you that hassle and can save you money. Friends set on having a drinking and eating binge in Cabo San Lucas may also stand to save money with an all inclusive plan that includes premium drinks. Many of the hotels and resorts in Cabo San Lucas are within easy reach of downtown and you may find that walking is an option, but alternatively the bus is a cheap alternative to taxis and car rentals. 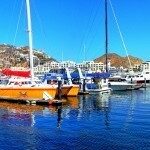 Water taxis will also save you money on excursions to the Landsend arches, which you can take from Cabo San Lucas Marina. With enough time you can find some cheap resorts and hotels in Cabo San Lucas. The internet is a great source of discounted hotels and resorts. If you don’t mind attending a timeshare presentation, you can get amazing discounts when you book through a timeshare agent. Check out the prices of budget airlines that fly from cities near your hometown. 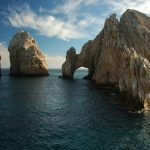 During the high season in winter, Cabo San Lucas is a destination targeted by many discount charters. Book ahead and you can make great savings. Guidebooks are not just for backpackers, a good Cabo San Lucas guidebook will give you tips on how to enjoy tours and excursions at on your own steam, therefore saving you money. You can get instructions about how to visit local villages or how to arrive to beautiful secluded beaches. Limit everyone in your party to a set number of treats or an allowance (including yourself). This can be a daily limit or weekly depending on what suits you. For example, one big treat like a massage, fishing trip, swim with the dolphins per vacation, 3 smaller treats like hair-braiding, a caricature painting etc. That way you can budget your money and still get to please everyone while on vacation in Cabo.